Bottom surface roughly worked. 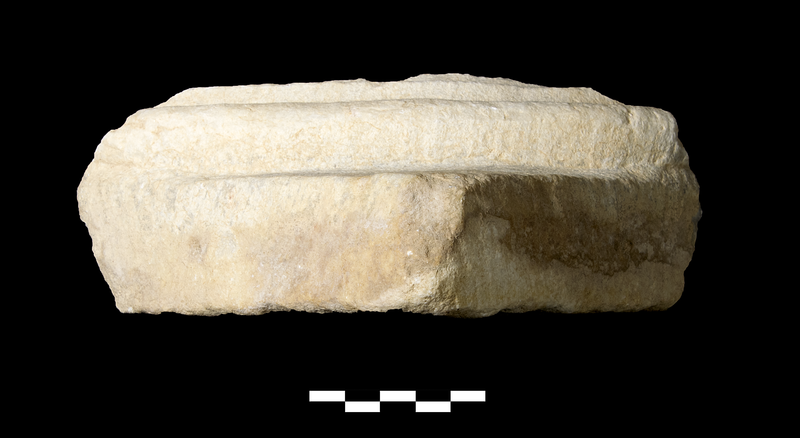 Square plinth with diagonal narrow chisel marks on outside (H. 0.044-0.047) under single half torus (H. 0.027 m) under flat, inverted hawk’s beak (H. 0.006, W. 0.019 m). Overall finely carved. 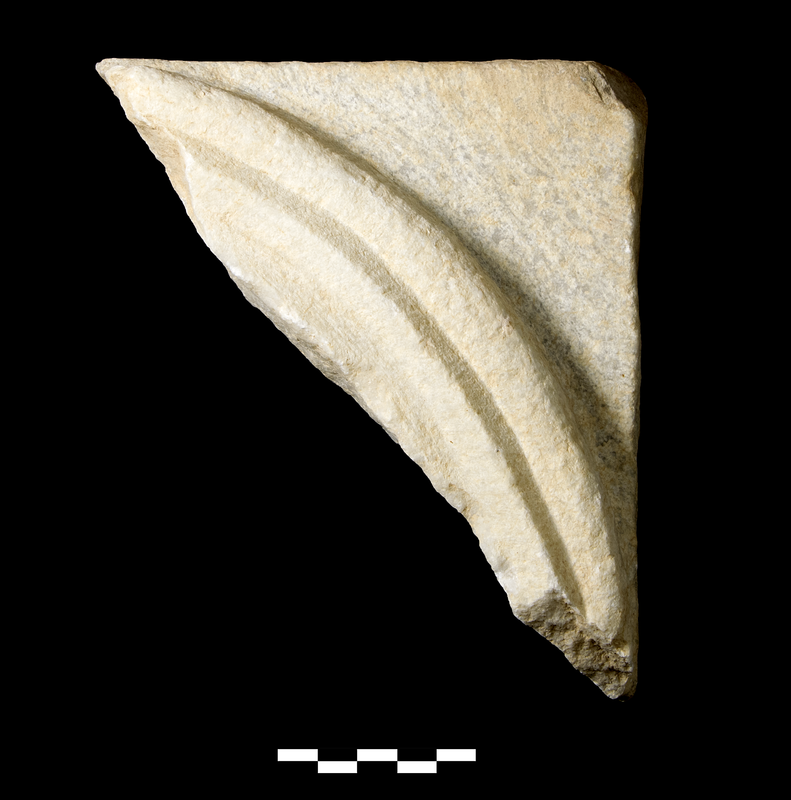 Form not related to KTH287 or surviving colonettes from second-storey of peristyle. Milky white, slightly coarse, slightly crystalline marble with bands of light gray veining. Proconnesian. 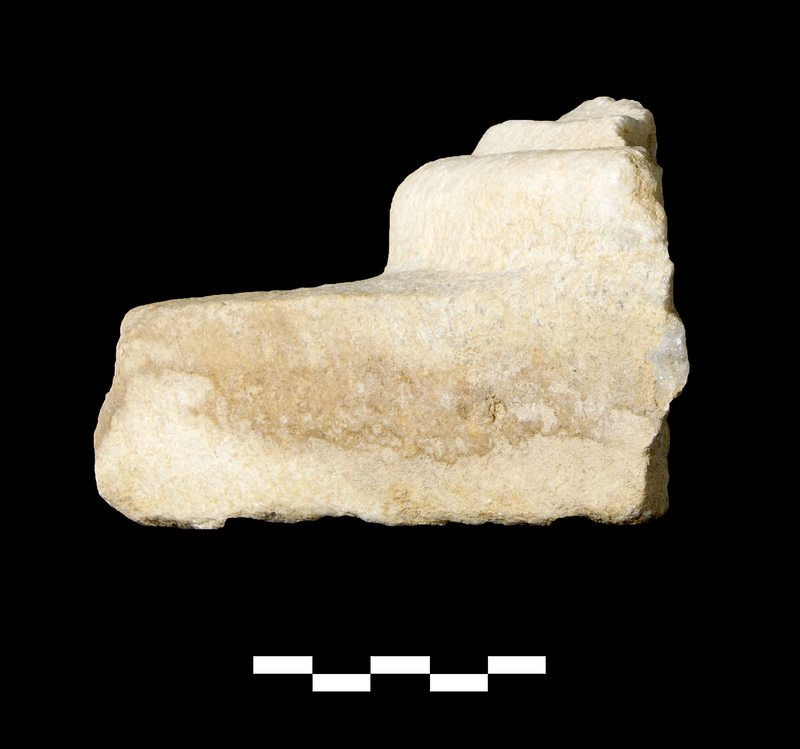 One fragment preserves less than one quarter of base. Slight, sparse abrasion and chipping; thin film of encrustation.